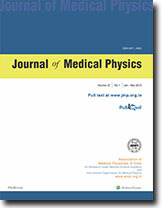 In view of a large number of therapeutic applications currently in practice using beta emitting radionuclides including radiosynovectomy, infusional brachytherapy and radiolabelled monoclonal antibodies, it has become increasingly important to explore the possibility of using bremsstrahlung images for quantification and delineation of leakage and retention pattern. The present study relates to standardization the bremsstrahlung imaging for 90Y and 32P by using whole body phantom containing cavities for organs, such as liver, spleen and kidneys. Various levels of activity ranging from 47 MBq to 85 MBq, both for and 32P, were used for standardization and acquisition of bremmstrahlung images using medium energy (ME) as well as low energy all-purpose (LEAP) collimator on a gamma camera. The bremsstrahlung images using ME collimator were found to depict reasonable resolution, though the sensitivity was shown to have been 'compromised. Bremsstrahlung images of incorporated beta emitting radionuclides could prove to be an effective tool for detection, localization as well as dosimetric calculations. lntraocular melanoma is the most common primary malignancy of the eye and radiation therapy using ophthalmic plaque has proved successful for its management. The dose prescription point recommended for 1251 eye plaque therapy is usually 5 mm from tumour base centre for tumours with 5 mm or less height and tumour apex, otherwise. A computational programme was written to generate data for the dosimetry of eye plaque therapy using 125,seeds. Variation of central axis depth dose and isodose distributions at reference depth have been studied for different diameter plaques. The reference dose rate chosen for a clinical application, based on treatment planning software, was compared with that derived from the data generated in the present study. The dosimetry data generated and presented in this paper will help pre-planning of ophthalmic applications, using 125,seeds. When the telegamma source is new and of high activity, errors can occur if doses are delivered using radiation outputs whose measurements were based on longer periods of exposure time. This error is commonly referred to as the shutter error, and is due to the dose contribution during source movement, both before the start of treatment timer and after the end of treatment time. The commonly used double exposure method of quantifying shutter error (i.e., the dose contribution due to source in transit) does not correct the output at all exposure times. A method is suggested to overcome this problem in this paper, which will take the shutter time error into account for all treatment times. The radiation output factors get modified when shielding tray (solid/slotted) is used. The shielding tray transmission factors are field size-dependent. Error is introduced when a single tray transmission factor is used in patient dose calculations. Similarly, use of open field output factors when shielding tray is used also introduces the error, Since the introduction of shielding blocks also modifies the beam, a procedure is suggested to reduce the error. The errors due to the use of central axis depth doses (CADD) in certain types of shielded fields, where the equivalent squares are calculated with respect to the central axis of the beam, are also discussed and remedies suggested. The calculation aspects associated with the use of breast cone for treating tangential chest wall fields are also addressed. The contents of this paper are with intent to help newly qualified medical physicists working as lone physicists in cancer hospitals. Conventional radiotherapy simulator can provide fluoroscopic images and radiographs. Fluoroscopic images cannot be stored/retrieved easily for radiotherapy planning. The conventional x-ray film images have certain disadvantages such as expensive, time consuming, laborious, messy dark room procedure, and difficulty in storage of film for long time. To overcome these problems, we have made an attempt to develop a digital image management system for our conventional SHIMADZU simulator. This system comprises of simple computer with a frame grabber card and a printer. The developed system converts the analog fluoroscopic images to digital images, which can be stored and retrieved in very systemic manner. These images are always easily available for ready references. FBX aqueous chemical dosimetry system has been found useful in radiotherapy owing to its low dose measuring capability. In the present work, entrance dose measurements in external beam radiotherapy on a telecobalt machine were carried out with the system on 100 patients. Treatments involving simple beam arrangement of open parallel-opposed beams in cranial and pelvic irradiations were selected for this study. In place of a spectrophotometer, a simple and inexpensive colorimeter was used for absorbance measurements. The purpose was to assess the efficacy of the FBX system for in-vivo dose measurements. The results obtained show that the average discrepancy between the measured and expected dose for both categories of patients was 0.2% (standard deviation 3.2%) with a maximum of +10.3%. There were 5.5% cases showing more than +5% discrepancy. Comparison of the result obtained with published work on entrance dose measurements, with diode detectors, shows that the inexpensive FBX system can be used for in-vivo (entrance) dose measurements for simple beam arrangements in radiotherapy and can thus serve as a useful QA tool. Radiotherapy plays an important role in the treatment of patients with breast cancer. The rationale for post mastectomy radiotherapy is to prevent recurrence of cancer in the chest wall, skin, mastectomy scar and the regional nodes (supra clavicular nodes and internal mammary nodes). Complexity of the shape and position of the irradiated volume of carcinoma breast, make it necessary to give a careful attention to the positioning of the patient and the technique involved. Patient has to be positioned carefully everyday in order to reduce doses to organ such as lung, contra lateral breast and thyroid. Radiation dose measurement is done for 20 cases with carcinoma breast using semiconductor detectors. The diode is kept in the central point of the entry field and the dose is measured in the case of tangential field treatment. Tangential field treatment is carried out using half beam block to reduce dose to the underlying lung tissue. The exit dose is also measured on the same day. The dose through supra clavicular field (SCF) is given in 20 equal intervals of dose and the dose is measured using the semiconductor detectors. Every day dose is compared and the variation, if any, is estimated. It is found that in about 50% of the treated cases more than 5% variation exists in the case of tangential treatment technique and less than 5% for SCF tratment.